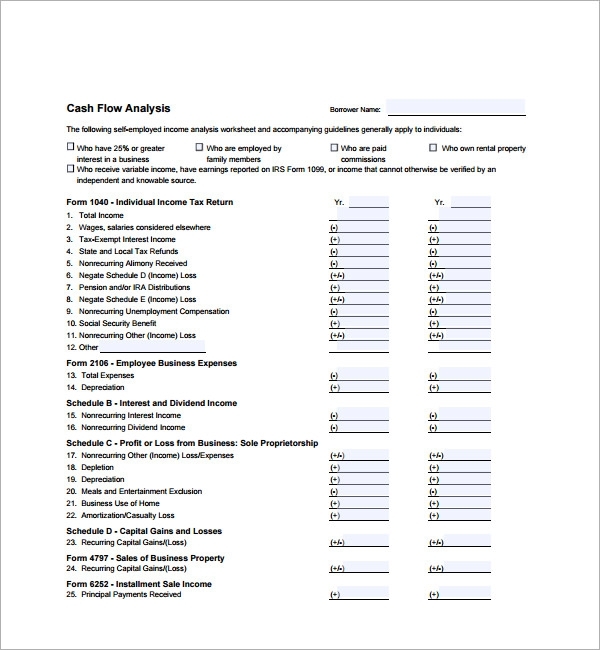 A Cash Flow Analysis Templates is essentially a chart that contains monthly analysis of how cash flows in and out of a company, corporation, firm or institution for a twelve-month period totaling up to a year. Analysis Templates contains four crucial sections; cash at the beginning of period, cash in, cash paid out, net cash flow for period. 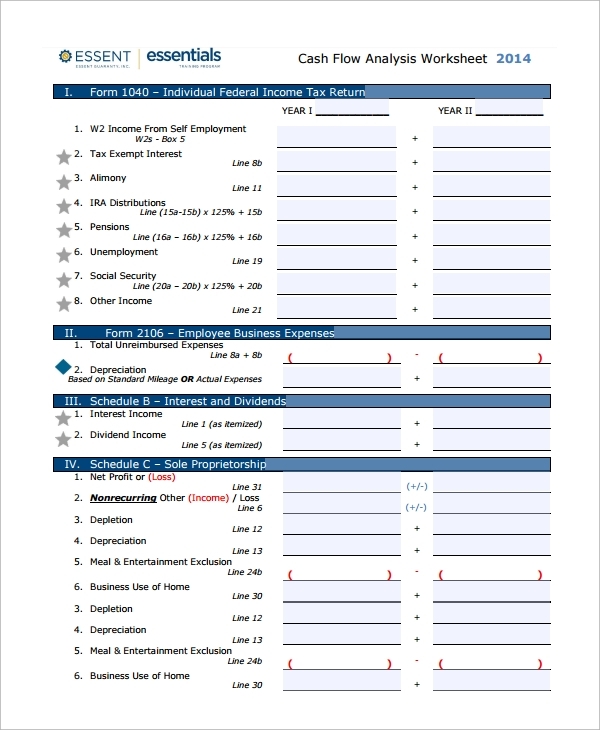 The cash flow analysis worksheet template provides you with a cash flow analysis worksheet. The details are categorized into different sections so as to present it in an organized way like Individual Federal income tax return, employee business expenses, interests and dividends and more. 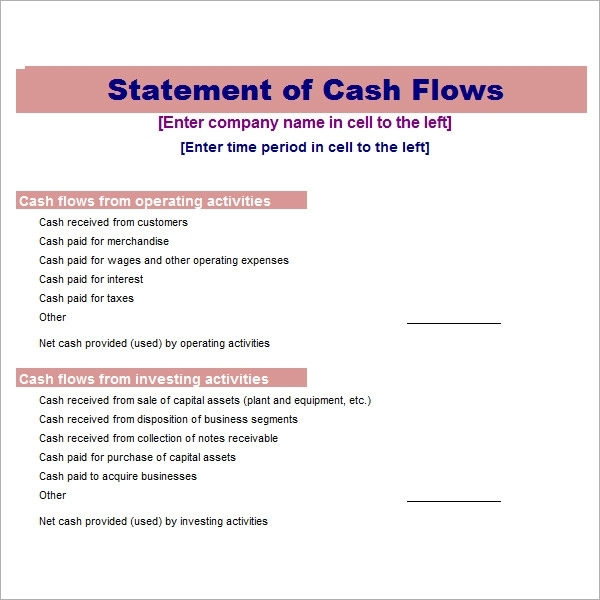 The cash flow statement format template provides you with a format of the statement of cash flows. 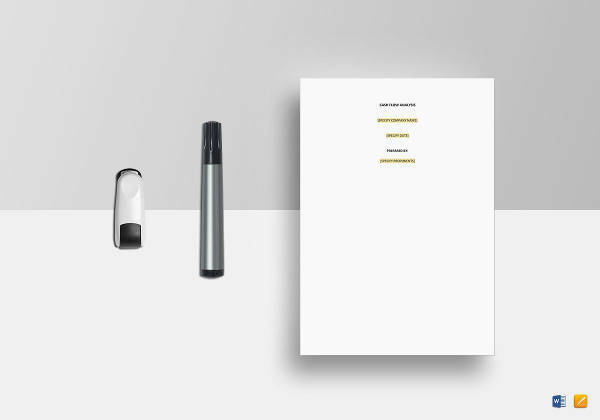 It also has space for highlight the prominent details, that is, company name and time period. It categorizes the information in heads like cash flows from operating activities and cash flows from investing activities. 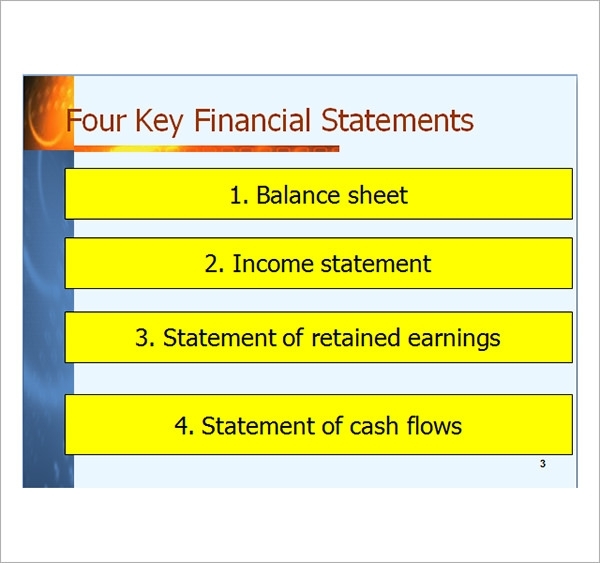 The cash flow analysis PPT comes in as a power point presentation. 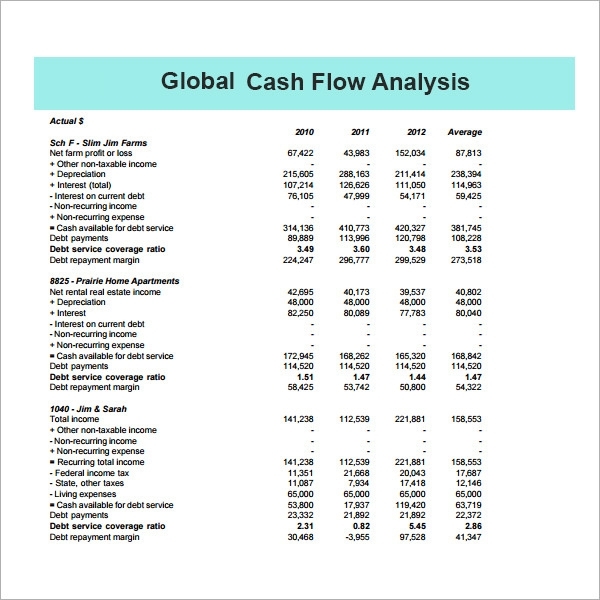 This presentation helps you in understanding the concept of cash flow analysis with ease. It depicts all the prominent information which is required to do an analysis. 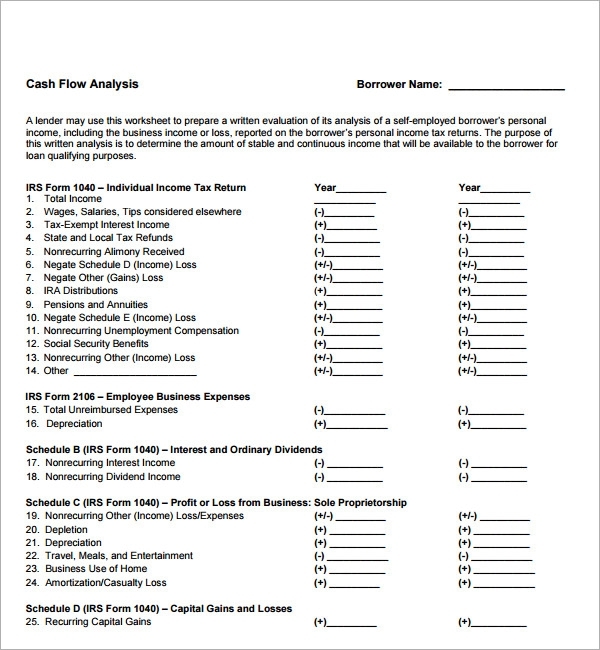 The personal cash flow analysis template provides you with the information about the personal cash flow analysis by answering the question, what is cash flow and why is it important. 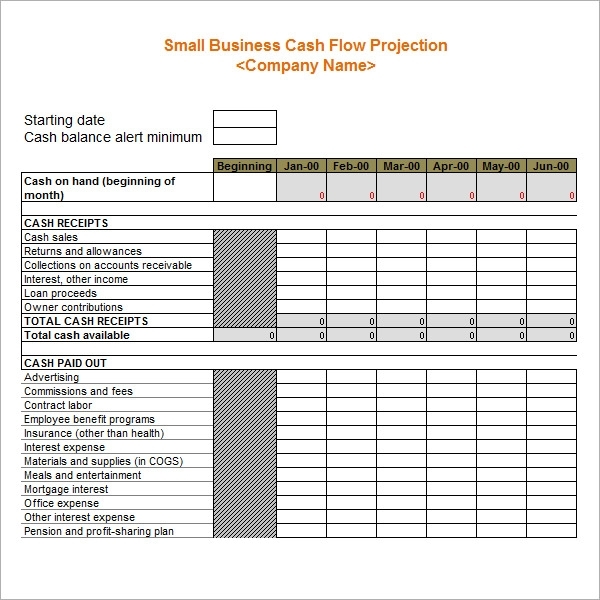 It also depicts a cash flow summary which you get by filling the details like cash coming in and going out. 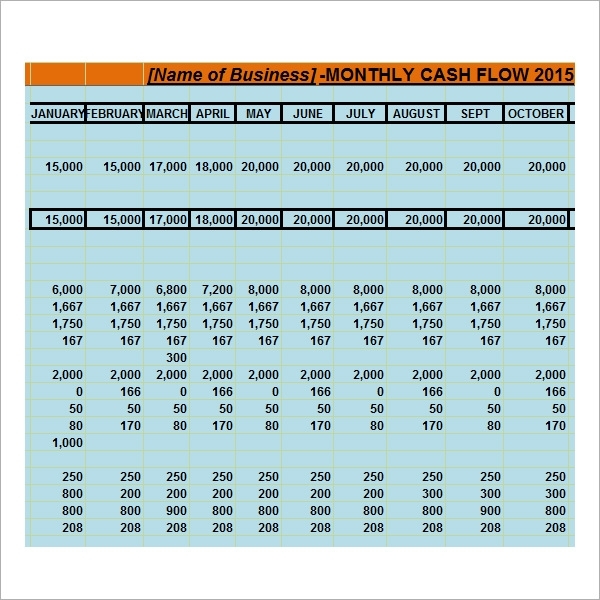 Why is the Cash Flow Analysis Template Needed? 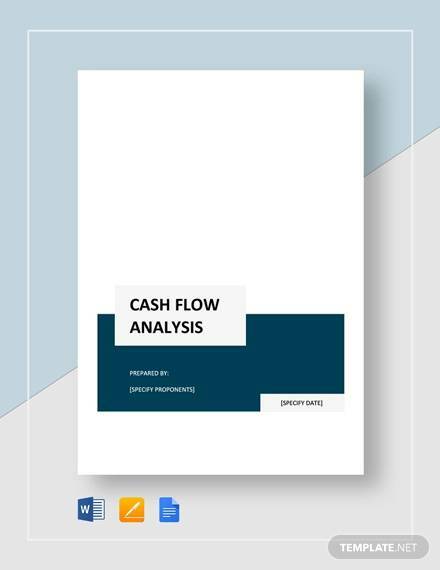 The cash flow analysis template is needed for doing the cash flow analysis effectively so as to know about the company’s financial position. It is also needed to compare the previous year’s performances with the present one. It is usually measured during the accounting period. The cash flow analysis also is helpful for calculating other parameters effectively as well. It helps the company to know whether or not it is able to meet its financial objectives and also to make plans or strategies for improving the cash inflow of the company. You may like Cost Benefit Analysis. 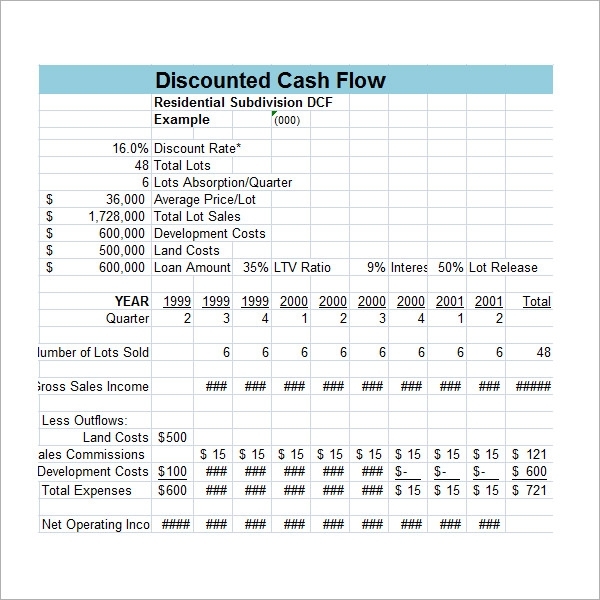 When is the Cash Flow Analysis Template Needed? 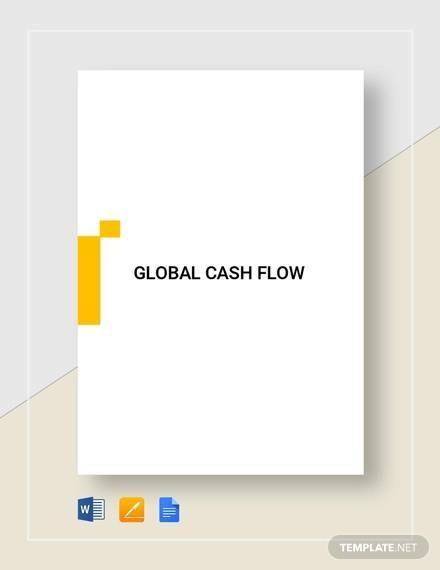 The cash flow analysis template is needed when you need to check the changes in the cash of the company or just to check the financial position of the company, that is, assessing its liquidity and solvency position. It is also needed to understand the term cash flow analysis and understand the process of how it is done and then you can also prepare your own cash flow analysis without any inconvenience. Along with all this, it proves to be an effective reporting tool for investors and creditors as it provides the information which balance sheet is not able to. You can also see Financial Analysis. 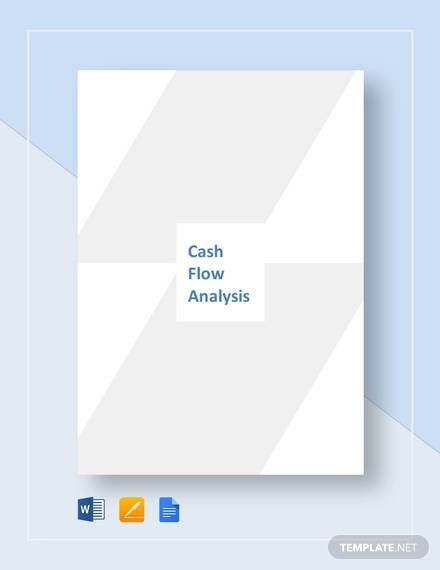 The cash flow analysis template helps you in keeping a check on the cash flows of the company which further helps you to see the financial position of the business. It also is beneficial in predicting the future financial progress of the company and also you can compare the past position with the present financial position easily. The templates are already formatted and have all the details required for the analysis in it already which save your time and help you in getting the accurate results. It also helps you in gaining the insight to the company’s financial, operating and investing activities just with a look. This is the amount of money available at the beginning of the year and every month within that annual period. 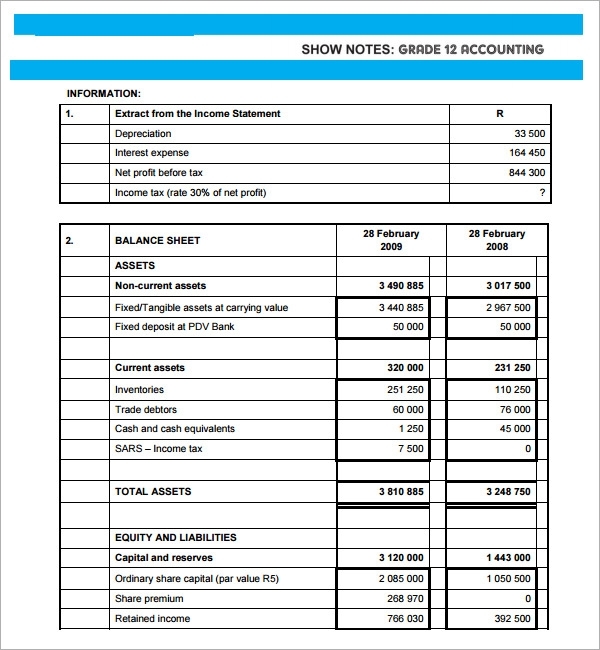 This is the amount money brought into the business it includes cash sales excluding value added tax (VAT), VAT invoiced, share capital investment and bank loans. You may like Market Analysis. This is the amount of money incurred to run the business and also other expenditures incurred in-between, it includes; premise rates and rent, power (light, heat, electricity and gas ), telephone, insurance, marketing and advertising, wages, accountancy fees, legal fees, depreciation, food purchases, bad debt provision, drawings, VAT payment due to customs and excise, capital expenditure, loan and financing repayment. This is the total amount of money remaining or the cash balance at the end of the year and every month within that annual period. 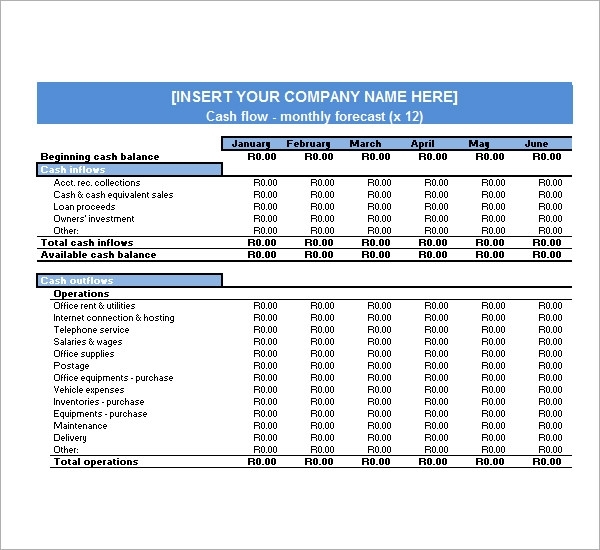 The Cash flow analysis template proves to be very helpful in analyzing the cash flows of the company. It helps in making a proper statement of analysis and also in presenting it in an organized manner. There are various designs available so that you can easily choose the one that best suits you.